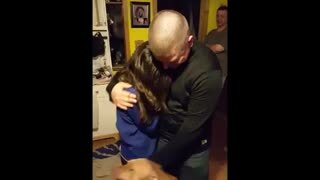 Rumble / Heartwarming Families - Over the years, surprise homecomings have become viral sensations, and these videos are becoming the most viral, heartwarming, touching videos that are making us cry. Big time! The meeting of a long but not forgotten family member can make you feel so excited you can&apos;t keep a smile off your face, and we are here to witness that kind of reunion that is just priceless. 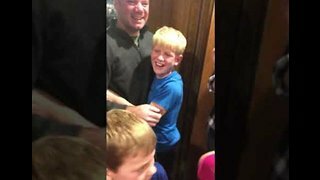 This dad surprised his kids and family over Thanksgiving, and his kids were so surprised and so happy that their dad is home for the holidays! They couldn&apos;t take their hands of him, giving him the biggest hugs in the world. They must have missed him so much. Take a look at the video and see the burst of emotions this family had! 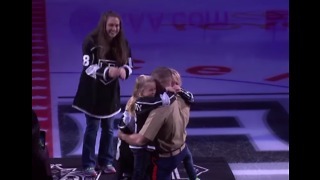 Rene Laverdiere surprises his family by coming home for Thanksgiving. He&apos;s been working far away in the oil patch for 55 days, and the kids haven&apos;t seen him the entire time. 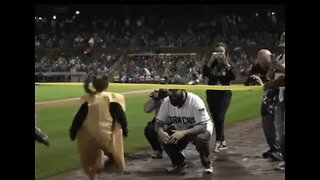 Their reactions say it all! Zachary Foster was also surprised to see his best friend who flew all the way from Hawaii just to see him. His jaw nearly hit the floor when he saw Jessica walk up to his table! Family reunions are positive and fantastic events. It’s great to see people’s happiness and joy and how much they appreciate their families. Also, family reunions can help people get closer to their family members and make them even stronger. Families are everything! From the moment we are born, we belong to a family. Whether it is small or a big family, adopted or blood-related, our family is all we have, and they are who we are in life. A family is an essential unit of society. It holds great importance in human life. It is the most stable unit of society. A community is made up of families. So, we are happy to see families like this. Loving, caring families who love each other and support each other in good times and bad times. These are the videos that put smiles on our faces, but also tears. Don’t worry, and they are happy tears. We hope this video will teach you always to appreciate your family and be there for them, as they will still be there for you! 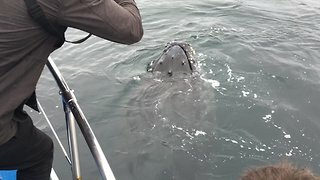 Their loving reunion is impressive and enjoyable to watch. And we believe that other people will be amazed by this video. So, don’t forget to share this fantastic video with your friends and family! s table!